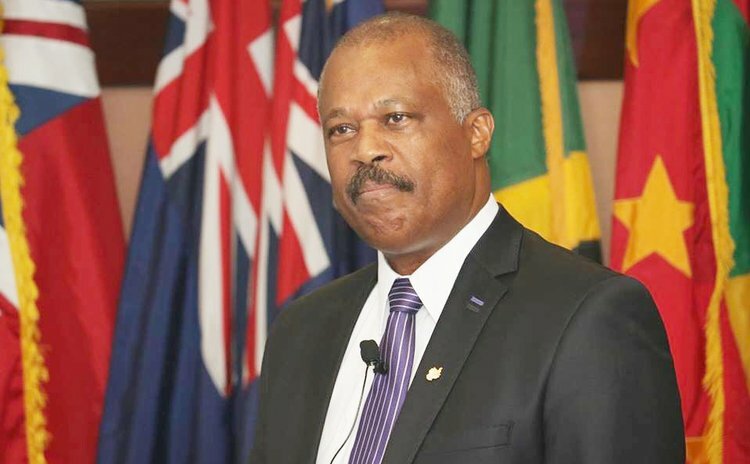 Vice-Chancellor, Professor Sir Hilary Beckles shared the following words on the passing of former Prime Minister of Trinidad and Tobago, Patrick Augustus Mervyn Manning. "Former Prime Minister of Trinidad and Tobago, Patrick Manning was an exceptional graduate of The UWI. Maybe as a student of geology he discovered the science of digging deep, exploring beneath the surface, a characteristic that served in well in his long, distinguished career in the political service of the people of Trinidad and Tobago, and the Caribbean. Graduating from our Mona campus where the political spirit of 'Caribbeanness' roamed classrooms and dormitories, young Patrick was guided in short time to serve in the political arena and entering the people's parliament in 1971 at age 24. Twenty years later he was called by his people to serve as Prime Minister, one of eight exceptional graduates thus far to be so summoned. His alma mater keenly recognised his record of distinction. In 2002, the University celebrated his outstanding achievements at a special gala event organised by its New York based foundation. At the time, he reminisced about the making of his Caribbean consciousness and its roots within the activism of student politics. He spoke with pride of his UWI experience and was always keen to give back in constructive ways that more often than not, went quietly recognised. That was his choice, which we always respected. I admired him for his constant expressions of concern for the financial health and sustainability of the University, and enjoyed the many discourses that followed in respect of the role of higher education in our economic modernisation and social stability. His service to national and regional politics will also be recognised within the context of nation building commitment and CARICOM consolidation. With him there was always concern for the fortunes of his fellow Caribbean citizens and through him, Trinidad and Tobago took its leadership of the region to a higher level. His University, country, region, and humanity have lost a good citizen. The University community is proud of his contributions and honours the richness of his engagements over the decades. On its behalf, I join with all within our beloved Caribbean, and the world beyond, in offering sincere condolences to Mrs Manning and their family. We offer our blessings at this time of spiritual reflection."